A who’s who of world speedway will travel to Queensland’s Gold Coast next Friday, April 27, for the funeral of Ivan Mauger, who is regarded by many as the sport’s greatest ever rider. Competitors, officials and fans from Europe, England, USA and New Zealand have already been confirmed for Mauger’s funeral. Mauger won solo world titles in 1968, 1969, 1970, 1972, 1977 and 1979 in one of the greatest eras of the sport. He was also runner up in 1971, 1973 and 1974 and third in 1967. Mauger, who was 78, was also three-time long-track world champion, two-time pairs champion and four-time World Team Cup winner. He was New Zealand Sportsman of the Year in 1977 and 1979 and inducted into the country’s sports hall of fame in 1990. 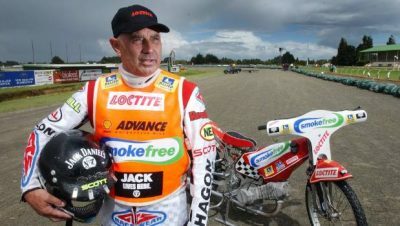 The Christchurch-born rider retired to the Gold Coast in 1987 and continued his involvement in the sport as a promoter and mentor to young riders, before he developed cognitive aphasia (dementia) which eventually claimed his life. Three-time world Speedway champion and Australian Motor Sport Hall of Fame member Jason Crump paid tribute to the legendary Kiwi rider who he described as “Mr Speedway”. “No one has ever had the impact on Speedway like Ivan Mauger,” Crump told Speedcafe.com. “I never had the honour of racing against him like my dad (Phil), but he was the benchmark for all the riders of my era and certainly those of the 60s, 70s and 80s. “It is an old cliche, but he was way ahead of him time. Before Ivan came along riders were turning up in black leathers with their bikes on the back of trailers. “He took enormous pride in the way his bikes, his team and he was personally presented. Crump, who wrote the foreword to Mauger’s 2010 autobiography – The Will To Win, which was written with Australian sports journalist Martin Rogers, recalled Mauger’s ‘sharpness’ which was sapped away by his illness. “It was a very sad process and tough on the family, as it is for all families that have a member with dementia,” said Crump. “One of his remarkable traits was his sharpness. He was as sharp as a razorblade. “In the end it was difficult to go and visit him because the spark wasn’t there. A memorial service for Mauger will be held at the Church of Christ, 1 Griffith Way, Southport at 11.30am on Friday, April 27. Speedcafe.com offers it condolences to Mauger’s wife of more than 50 years, Raye and their children Kym, Julie and Debbie. 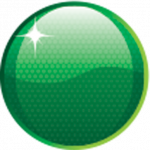 CLICK HERE to leave your tribute message.